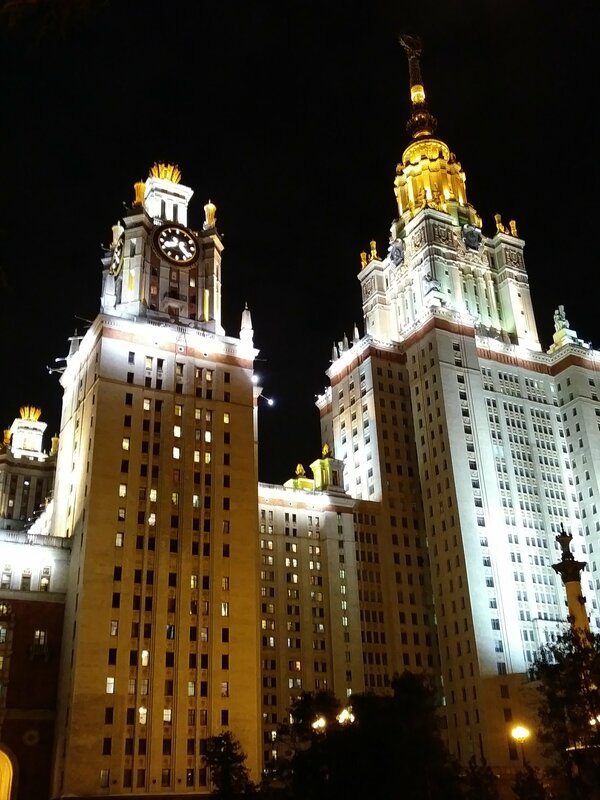 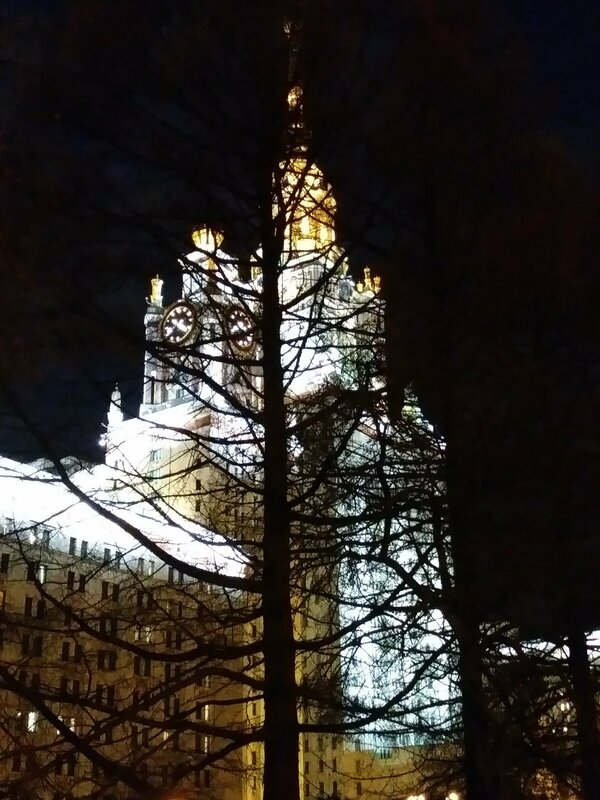 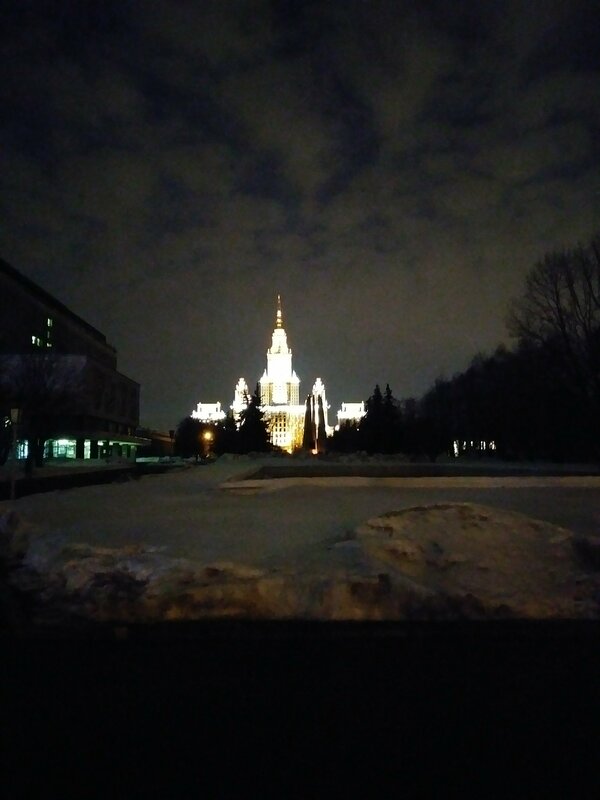 Moscow State University’s (MSU) main building, located at Sparrow Hills south of Moscow river, offers an exciting view both at day and night-time. 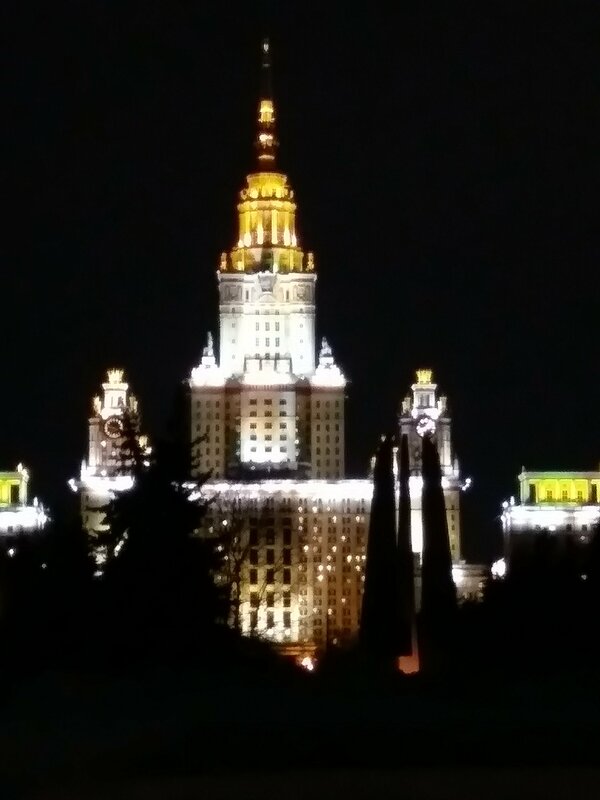 Constructed from 1949 to 1953, it kept the record of being the tallest building in Europe until the 1980ies. 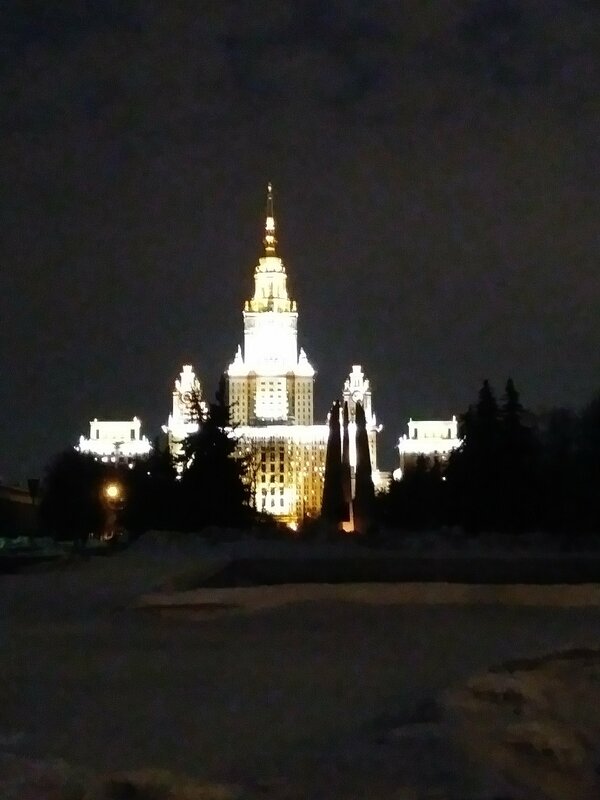 And it is still the tallest higher education facility on the globe. 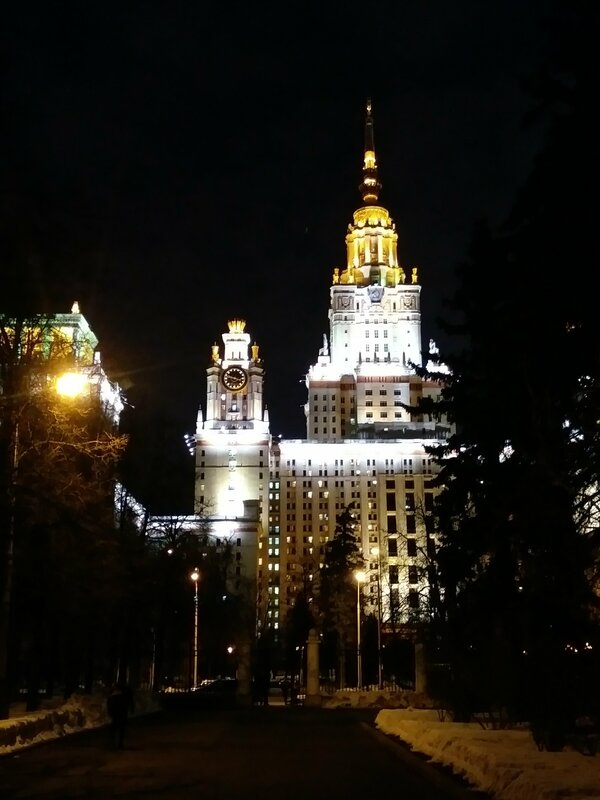 A five minutes walk on the extensive camous northbound will bring you to the famous viewing plattform that yields you are glimpse of the truth behind the saying that Moscow never sleeps.